Grabauskas is apparently blaming the cost escalation on two legal challenges that halted the rail’s construction for just over a year. The rail project was challenged twice in court. The Native Hawaiian Legal Corporation and attorney David Frankel represented Paulette Kaleikini when she challenged the city’s decision to begin construction in the state’s highest court. She is a native Hawaiian with family members buried in Kakaako, possibly in the rail’s path. They won their case in August 2012, bringing the project to a halt for more than a year. In a separate lawsuit, filed in 2011, eight plaintiffs including businessman Cliff Slater, former Gov. Benjamin Cayetano, retired Judge Walter Heen, University of Hawaii Law Professor Randal Roth, the Small Business Hawaii Education Foundation, Dr. Michael Uechi, Hawaii’s Thousand Friends and the Hawaii Outdoor Circle, challenged the city and FTA’s plans for the rail. The plaintiffs argued the project will bankrupt the city and destroy important cultural sites and the environment. The city decided to conduct the archeological inventory in four phases, rather than surveying the entire 20-mile route before starting the project. 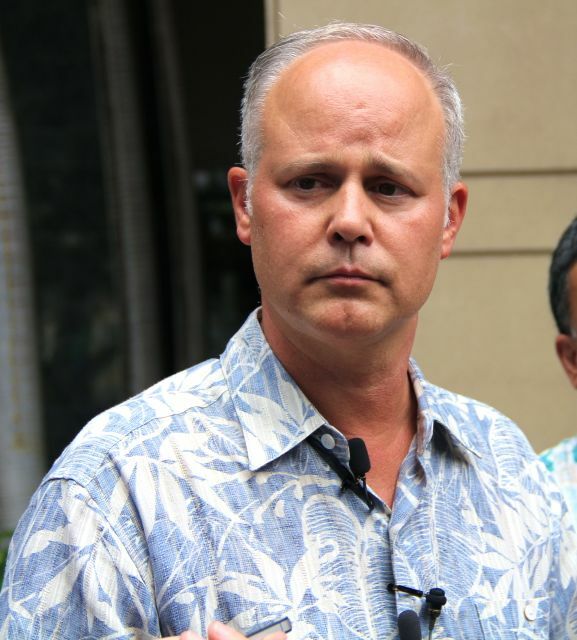 Slater, who heads HonoluluTraffic.com, disputed Grabauskas’ claim that legal challenges have increased the cost of the project. “The delay was not caused by Honolulutraffic.com and its members. We had originally filed our lawsuit challenging the Final EIS in early 2011. Lawsuits in such cases cannot be filed until the Federal Transit Administration files its Record of Decision on the Final EIS so we could not have filed earlier. Our attorneys were well experienced in environmental law cases. In fact, our lead attorney wrote the regulations that implemented the National Environmental Policy Act (NEPA). At the time we filed the lawsuit our attorneys believed that it would all be resolved by the end of 2011. In the end, it was settled in 2014, over two years later,” Slater said. “The City caused the delay by doing everything possible to impede a verdict; they believed that if they could get a sufficient portion of the rail line built before the verdict that the judges would allow that to influence their decision. I guess they were right. If you talk to our attorneys about the inordinate number of motions filed by the City, or review when we finally got the Administrative Record versus the time that it normally takes, you will see clearly that the City was fighting a delaying game the whole time,” Slater added. Panos Prevedouros, PhD., a professor of engineering at the University, who has been a vocal opponent of the rail project, also dismissed Grabauskas’ claims.